What Makes New Youth Age Control Serum So Great? Many folks are me about the effectiveness of New Youth Skin Care, and what makes it a TRUE Anti-Aging skin care system. The answer depends on the particular product, and one of my personal favorites is the New Youth Age Control Serum. 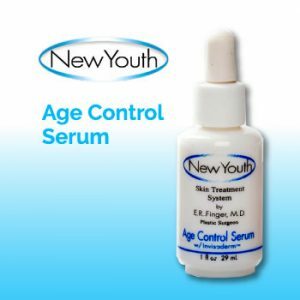 The New Youth Age Control Serum is one product of 7 that I recommend to be used as a system. 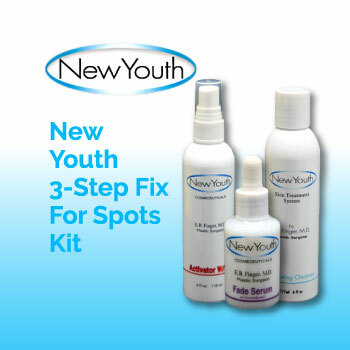 Originally, New Youth was formulated to be different than other cosmeceuticals. Rather than peel and bleach system, the formulation was to use ingredients that repair damage to the cells that produce the skin as well as clean the debris from elastin and collagen fibers so the skin can tighten and thicken. The Age Control Serum was one of the first real anti-aging products produced by New Youth Cosmeceuticals. The goal was to formulate products with whole food nutrients plus ingredients that help our cells perform the functions they are supposed to do. The environmental damage had to be reversed for this to happen. Marine Algae Extract, which contains many whole food nutrients and vitamins that are vital to our cells. Vitamin A, excellent for skin, thickening both dermis and epidermis. Vitamin E, a powerful antioxidant. Vitamin C, an antioxidant and integral part of collagen formation. Herbs, which are anti-glycemic agents and important to prevent and reduce debris from collagen and elastic fibers allowing skin to tighten. Plant extracts to repair DNA. Lipoic Acid, a fat-soluble antioxidant that penetrates cell walls and reduces free radicals within the cells. Green Tea Extract, a powerful antioxidant containing important polyphenols. Resveratrol, an ingredient to turn on youth genes. These are topped with Invisaderm to pre-digest ingredients for faster penetration into the skin. The results of the previously mentioned ingredients created a true Anti-Aging Product. 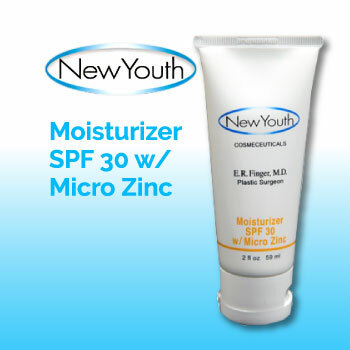 New Youth Age Control Serum works to reduce sun damage and wrinkles, and it improves the clarity and texture of the skin. Age Control Serum is a back-to-basics product that promotes healthy skin, and healthy skin is tighter, clearer, less wrinkled and looks more youthful. 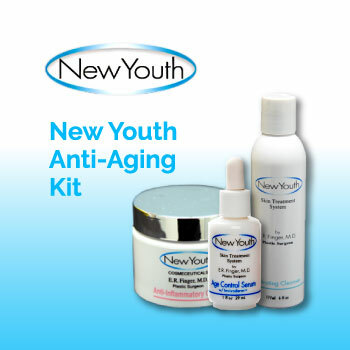 If you are looking to turn back the clock of time, the New Youth Skin Care System will certainly be helpful. Instead of inflaming the face we found that to produce collagen, you should have an anti-inflammatory response, not the bleach and peel effect. For all skin types. This unique serum with MAP (magnesium ascorbyl phosphate, a form of Vitamin C) is designed to heal and preserve skin cells, reduce hyperpigmentation, and reduce the appearance of premature aging of the skin. Applied to a clean face before any other product, Age Control Serum not only improves the skin’s ability to retain moisture but also increases the amount of moisture in the skin. MAP provides antioxidant benefits with increased collagen production without the irritation. Age Control Serum also includes thioctic acid, fennel seed, B complex Vitamin C, and other antioxidants. One of its ingredients, calcium, plays an important role in the buildup of outer skin tissue. This helps to manufacture protein and improves the integrity of the cell structure. Age Control Serum is a very powerful, well-absorbed, and efficient antioxidant product.